this script helps you to filter your orders and close those orders matching the specified criteria. 1- you can apply close filters on current chart or all orders. 2-you can specify a certain profit or loss range to close. for example those orders which their profits are between 100 to 200 USD. or between -20 to 0. 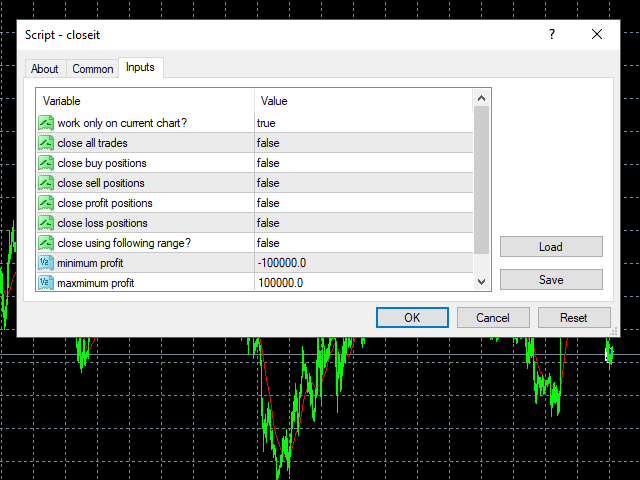 3-you can close all profit trades or loss trades at once . 3-close all sell or buy orders at once . 4-close all orders at once. order management ,close orders,profit range,filter orders,all at once,close all.